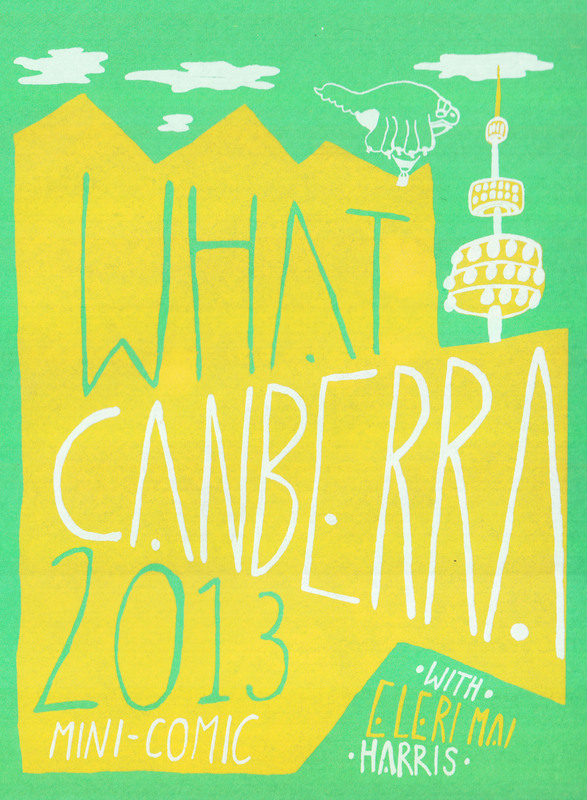 I’m going to be in Canberra in June AND thanks to ACT Comic Meet and Scissors Paper Pen, I’ll be giving a workshop at the ACT Writer’s Centre! Actually literally days from studying at the Centre for Cartoon Studies in White River Junction,Vermont, Eleri Mai Harris gives a once-only workshop during her visit to Australia. To register, email writetoscissorspaperpen@gmail.com for a reserved place, and turn up on the day with cash in hand. You can just turn up, but we do like it when you book! Spend an hour with Eleri Mai Harris in a one-off workshop while she’s in Australia. It’ll be a table of comics, a pen, paper, and a projector, and you braving an illustration of your own. By the end of the hour you’ll have your own zine ready to distribute. Materials and photocopier supplied. ← Ink wash and watercolour comics: what, how, huh?